Dioramas and Clever Things: The Smithsonian Castle. A photogrpah of a model. The Smithsonian Castle. A photogrpah of a model. Source: The Smithsonian Photography Initiative. 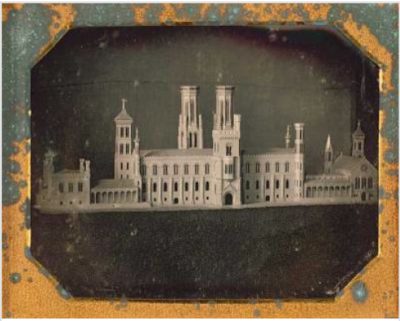 1846 photogrpah of an architecth's model for the Smithsonian's first building, popularly known as the Castle.